Hudson’s Bay Canada is offering an extra 15% off sitewide this weekend when you pay using your HBC credit card. Use the promo code EXTRA to get this deal until March 3 2019. Some exclusions apply. Also, Happy Baby Week is taking place! 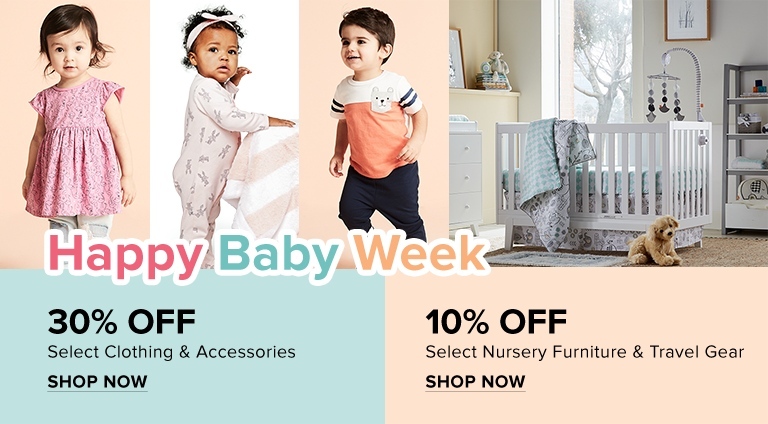 Save 30% off clothing and accessories plus 10% off nursery furniture and travel gear.